The spectacular bloom of rapeseed fields. With the moody weather of crowded grey clouds and sun rays fighting for survival in their game of hide and seek, nothing could make a better setting for photo enthusiasts. Well, perhaps fog for some of us. I think I might just be stepping out of my black and white phase since I’m absolutely loving these patches of gorgeous yellow in between vivid green lands. What I enjoy most is the energy of this dramatic setting. It seems to raise some sort of confused emotion in me, a dormant synchronisation of mellow with a touch of violent. 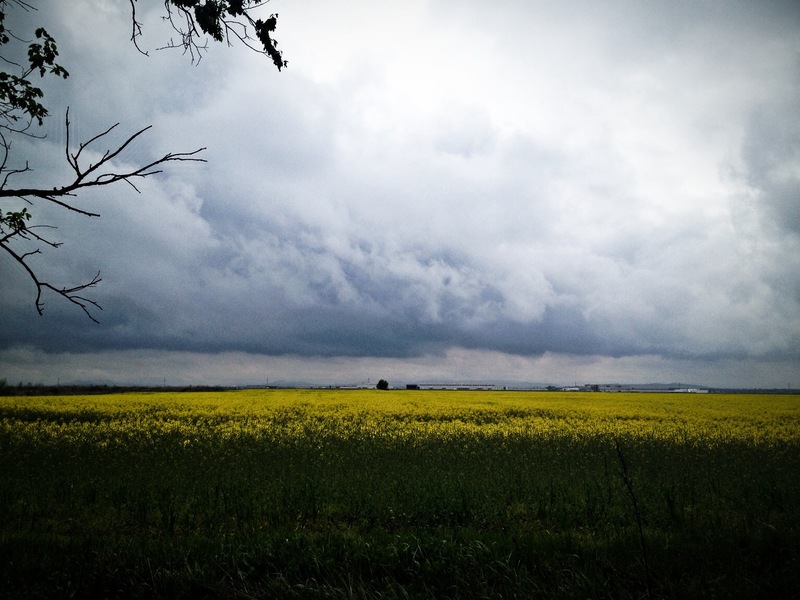 This entry was posted in English, please., Photography and tagged fotografie, iphotography, love the road, natura, rapeseed, yellow on April 15, 2014 by Lori Alexe.